What does it mean to be a priest in the Hebrew Bible? One clue is the ordination ritual. The first priests of the Israelites undergo an entirely different initiation experience in this week’s Torah portion, Tzav (“Command”). The primary job of biblical priests is to process various animal and grain offerings according to all the rules in the book of Leviticus/Vayikra. Priests also enforce the rules on ritual purity;2 diagnose the skin disease of tzara-at;3 recite a blessing formula over the community;4; tend the menorah (lampstand) and other holy items inside the sanctuary;5 and look impressive while on duty.6 No wonder the ordination of the first priests focuses on purification, blood, and clothing. Next Moses picks up the anointing oil. In the Hebrew Bible, only priests and kings are anointed before they take up their duties. lekadesham (לְקַדְּשָׁם) = to made them holy. lekadeshu (לְקַדְּשׁוּ) = to make him holy. Moses uses the same oil to make Aaron and all the objects related to the sanctuary holy.9 While the temple stood in Jerusalem, priesthood was hereditary and new priests, when they came of age, were anointed to consecrate them for serving God. Why does Moses apply oil and blood not only to the five men he is ordaining, but also to their clothing and the altar? Sacrificing an animal is the primary means of worshiping God in the most of the Hebrew Bible. Once the priests are ordained, the Israelites bring their animals to the altar to be slaughtered. The priests collect and splash the blood, butcher the animals, lift up animal parts, burn, roast, and remove waste. Both the priests and the altar are intermediaries between the people and God. When I reread this week’s Torah portion I felt sorry for the priests in the bible. Their honor is merely hereditary, and their contribution to the welfare of the Israelites consists in following the rules. They do not volunteer creative work, like Betzaleil and the artisans who craft all the items for the tent-sanctuary. They do not make plans and decisions, like the kings and their generals and aides. They do not have visions and hear God’s voice, like the prophets. The priests also do not get to tell stories, like a maggid. They do not get to explain words of Torah, like a rabbi. They learn the Torah only in order to follow and teach the rules about offerings, impurity, diseases, and temple protocol. No wonder the ordination of the first priests includes multiple applications of blood from animal offerings in order to effect ritual purity. Nevertheless, the Israelites depend on the labor of the priests so they can worship God in the only way they know. Today, may we all honor those who follow the rules and keep things running just as much as we honor inspired artists, leaders, and prophets. For more on smikhah see last week’s post, Vayikra& Jeremiah: Kidneys. The many examples include Leviticus 12 and 15, and Numbers 5 and 6:9-20. Priests are not allowed to serve at the altar or inside the sanctuary unless they have unblemished bodies (Leviticus 21:16-23 and 21:18-20). They must also be wearing their garments made of white linen and expensive dyes, and when the high priest officiates he wears a gold tabard with gems and a gold plate on his forehead (Exodus 28). 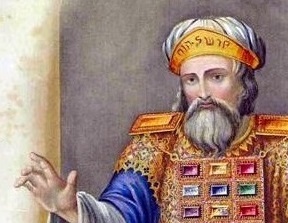 The high priest may not dishevel his hair or rip his garments—the usual signs of mourning—even when his closest family members die (Leviticus 21:10-12). Leviticus 8:7-9. For more information, see my post Tetzavveh: Holy Flower. But God’s instructions to Moses in Exodus 29:7 only mention pouring oil on Aaron’s head, not on the sanctuary or the altar. Rashi (11th-century Rabbi Shlomoh Yitzchaki) explained that Moses chata, made reparation, not because anyone had missed the mark, but simply to purify the altar so as to convert it from an ordinary state to a holy state. The Israelites complete the tent that will serve as a portable temple at the end of the book of Exodus/Shemot. Moses consecrates the altar and the priests who will perform all the required rituals in this week’s Torah portion, Tzav, the second portion in the book of Leviticus/Vayikra. The ceremony continues with the ritual slaughter of a bull and three rams, offerings of animal parts and three kinds of flat cakes, and the application of anointing oil and blood from the slaughtered animals in various locations and combinations. 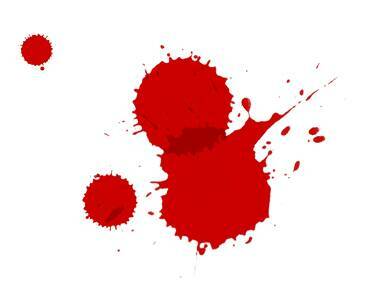 (See my post Tzav: Oil and Blood.) After the gorgeous new ceremonial garments are spotted all over with oil and blood they are holy—dedicated to God. So are Aaron and his sons, but they are not yet priests. yad (יַד) = hand; power, ability. 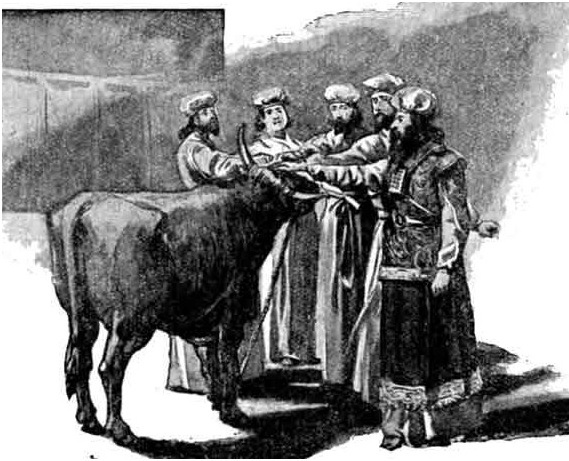 According to God’s instructions to Moses in the book of Exodus, one part of the ritual will be repeated each day during this seven-day period: the slaughter of a bull and consecration of the altar with its blood.3 But Aaron and his sons will simply sit in the tent entrance in their spattered garments, gradually eating their portions of the meat and grain offerings that they had shared with God. Another viewpoint is that they are mourning, because they have a premonition that at least one of them will die on the eighth day, when they first serve God as official priests.6 But when Aaron’s two oldest sons, Nadav and Avihu, do die on the eighth day, in next week’s Torah portion, it comes as a shock to everyone. The Torah also quotes Moses as telling Aaron and his sons that they must not leave the entrance of the Tent of Meeting for seven days because “it will fill up (yemallei) your ability (yad)”. Maybe it takes seven days in the entrance to God’s dwelling-place to fill up with sufficient holy awe to be able to conduct the business of holiness. What strikes me is that Aaron and his sons are neither born nor trained to be priests. They get their new positions without any previous job experience. Up to this point, Aaron has not been the sort of man who wears a gold medallion on his forehead saying “Holy to God”. It’s clear in the book of Exodus that God only calls Aaron in because Moses makes so many objections to the job God gives him at the burning bush.7 To his credit, Aaron greets his long-lost brother without jealousy, and willingly serves as Moses’ sidekick. When the Israelites are attacked by Amalek on the way to Mount Sinai, Aaron literally supports Moses’ arm and helps him save the day.8 But when Moses climbs Mount Sinai and does not return for 40 days, and the people panic and ask for idols, Aaron makes the golden calf. Now Aaron is promoted from Moses’ unreliable assistant to High Priest. Aaron will officiate over the ritual offerings in the sanctuary. Aaron will light the menorah. Aaron will be in charge of God’s dwelling place. Aaron’s four sons are also getting major promotions. They have not done anything of distinction, though they would be treated with the respect simply because they are Aaron’s sons.9 Now they are being ordained as priests. They will be the only people besides Moses and Aaron and Moses who are allowed to enter the Tent of Meeting, the only people allowed to handle the holiest objects inside it. Only they will turn the offerings of their people into smoke that ascends to God. For seven days Aaron and his sons sit inside the sanctuary, in the entrance of the Tent of Meeting. Perhaps they face out, gazing at the bronze altar and the wash-basin in the sunlit courtyard. Perhaps they face in, gazing at the golden menorah, incense altar, and bread table under the tent roof, not to mention the curtain screening off the ark itself. For seven days they sit there, without distractions, realizing they will spend the rest of their lives dedicated to holy service. I doubt they are doing anticipatory mourning for the coming deaths of Nadav and Avihu. But they may be mourning for their old way of life, which has ended forever. At the end of seven days, they will be the servants of God’s dwelling-place, who must act as God’s representatives every waking minute. Their new lives as priests are imposed on them. They do not apply for the job. They do not even hear God call them, the way prophets in the Hebrew Bible are called into service. Moses simply tells them what God told him do. It might seem like a great honor to them, or it might seem as arbitrary as an accident. At least they are granted seven days to sit at the entrance of their new lives, experiencing the grief, fear, awe, and whatever else comes along, letting the transformation sink in. We don’t have a Moses to set aside seven days for us when we face a sudden major change in life. But we have the example in this week’s Torah portion. May everyone who can take time on the threshold between an old life and a new one receive the inspiration to sit and reflect. And whenever our lives change, may God fill up our ability to meet the new challenge. 1 Exodus 28:1-43, 39:1-31. See my post Tetzavveh: The Clothes Make the Man. 2 The source of this idiom is not known, but it may be related to the elevation offering, the tenufah (תְּנוּפָה), in which priests lay the meat or grain cakes to be offered on their palms and either hold them out, raise them, or wave them toward God before burning them. 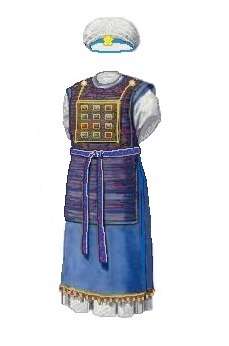 A tenufah was part of the ordination ceremony for Aaron and his sons (Leviticus 8:26-28). 4 Exodus 32:1-8, 21-25. See my post Ki Tissa: Out Came this Calf! 5 e.g. 13th-century rabbi Moses ben Nachman (a.k.a. Ramban, Nachmanides), paraphrased in Elie Munk, The Call of the Torah: Vayikra, trans. by E.S. Mazer, Mesorah Publications, 1992, p. 71; 19th-century rabbi Sampson Raphael Hirsch, The Hirsch Chumash: Sefer Vayikra, Part 1, trans. by Daniel Haberman, Feldheim Publishers, Jerusalem, 2002, p. 277. 6 Midrash Tanchuma, a collection of commentary from the 5th through 8th centuries C.E., paraphrased in Munk, p. 72. 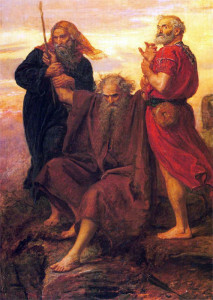 Aaron’s two older sons, Nadav and Avihu, do die on the eighth day, consumed by a fire from God (Leviticus 10:1-2); and Moses forbids Aaron and his two surviving sons to engage in mourning for them (Leviticus 10:6-7). 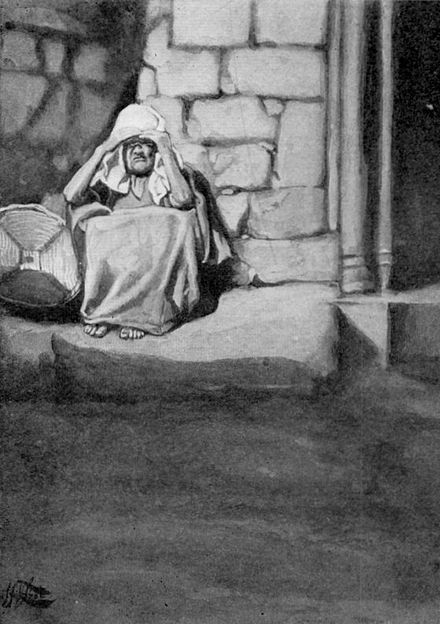 The seven days sitting at the tent entrance are compared to the initial seven-day mourning period of shivah, but “sitting shivah” is a later Jewish custom. 8 Exodus 17:8-13. See my post Beshallach: Hands Up. 9 Aaron’s two older sons, Nadav and Avihu, are treated as if they are elders when they walk partway up Mount Sinai with the 70 regular elders, Moses, and Aaron to behold a vision of God’s feet (Exodus 24:1, 9-11). If you mix flour and water, spread it flat, and slap it in the oven at once, what comes out is a matzah (plural: matzot): “unleavened bread” that is really a large, bland cracker. If you mix flour and water and let the mixture sit indoors for six to nine days, adding more flour and water each day, you get frothy sourdough starter, thanks to the activity of wild yeast—invisible microorganisms that cover everything, even flour. Add more flour to the starter, spend a day kneading it, shaping it, and letting it rise twice, and put the balls of dough in the oven. What comes out is chameitz: loaves of leavened bread. To get from flour and water to loaves of sourdough bread takes at least seven days. The difference between matzot and chameitz is critical in this week’s Torah portion, Tzav (“Command”), and even more critical in the Torah readings for the following two weeks, during the holiday of Passover/Pesach. The Torah first mentions matzot in the book of Genesis/Bereishit, when Abraham’s nephew Lot meets two strangers in the town square of Sodom and invites them home. 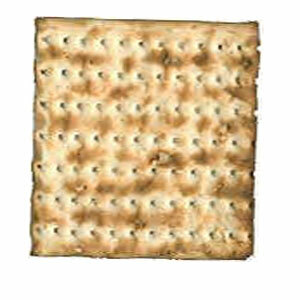 matzot (מַצּוֹת) = (plural) unleavened “bread”. Lot’s wife is not involved in this act of hospitality. Lot himself, who may not even know whether she has dough rising somewhere, simply mixes flour and water and spreads it on the hot inner surface of the oven, so that at least his guests will have crackers to eat with their meal. se-or (שְׂאֹר) = leavening agent, sourdough starter. 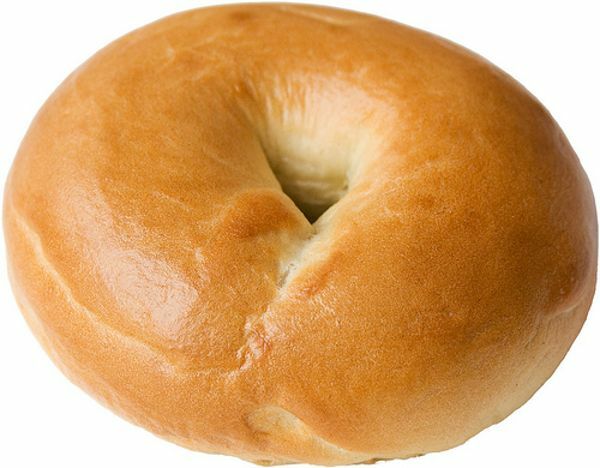 chameitz (חָמֵץ) = leavened bread, leavened food. The Torah forbids the people of Israel to eat or own leavened bread during Passover. It also says that leavened bread must never be burned on the altar for God. But this week’s Torah portion, Tzav, gives directions for two kinds of offerings that include matzot burned on the altar: the grain offering and the thanksgiving offering. minchah (מִנְחָה) = grain offering; tribute or gift to express respect and allegiance. The loose flour sprinkled with oil and frankincense can be burned on the altar because it is dry, and therefore unleavened. A similar rule applies to the thanksgiving offering, which is made by someone who has emerged safely from a dangerous or oppressive situation. This type of offering includes both meat and grain products, and is divided into three portions: one to burn up on the altar for God, one for the officiating priest to eat, and one for the donor and his guests to eat. todah (תּוֹדָה) = thanks; thanksgiving offering (one category of shelamim = wholeness-offering). In other words, the donor brings animals for slaughter, three kinds of matzot, and loaves of leavened bread. Portions of the animals and the matzot are burned on the altar. The officiating priest gets one of each kind of item (including a loaf of chameitz). The rest of the food, including the chameitz, is eaten by the donor and his guests. Once again, matzot are considered more “holy” than chameitz. In the first century C.E., Philo of Alexandria wrote that leaven is forbidden on the altar because it makes dough rise, and nobody should be inflated and puffed up by arrogance or insolence in front of God. In the 19th century C.E., Rabbi Samson Raphael Hirsch suggested that chameitz stands for independence, and matzot for dependence. 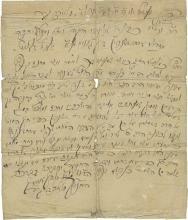 In a thanksgiving offering, Hirsch wrote, the chameitz represents the donor’s well-being and independence in the world. The matzot acknowledges that he regained his worldly independence only through God, upon whom he is always dependent. As a modern Jew, I am happy to offer prayers and blessings as my tribute (minchah) and my thanks (todah) to the divine. But when I am addressing God, I do not want to waste my time begging a parent-figure to give me what my inflated ego wants. Instead, I want to acknowledge that I am not in charge—with an expression of humility, like tribute to a king, like matzot in a minchah offering. I also want to give thanks for the amazing and wonderful universe I live in, knowing that I and the rest of the universe exist only because of forces I cannot imagine or control. I want to acknowledge that I am not in charge—with an expression of dependence and appreciation, like giving thanks, like the matzot in a todah offering. And while I’m at it, I want to express my gratitude for life by sharing my food with others, like the donor of a todah. One of the things I want to share is some chameitz, some lovely leavened bread that stands for my joy over the small sphere of independence and power I have been given. Every year, when I start to read the book of Leviticus/Vayikra, my teeth clench. The first two Torah portions (Vayikra—“And It Called”, and Tzav—“Command”) consist of rules about offerings at the altar. And most of these offerings involve bringing forward a living animal, laying a hand on its head, and then slitting its throat, sprinkling blood, butchering it, and waving around or burning various pieces. This is difficult reading for someone who stopped eating mammals and birds 18 years ago because they are too much like human beings. The Torah teaches that we should not offer human beings at the altar, only animals and grain. But the instructions for offering a mammal always include laying hands on the animal’s head before it is slaughtered. This act transfers the donor’s identity to the animal, so killing and offering it is like sacrificing oneself for God. 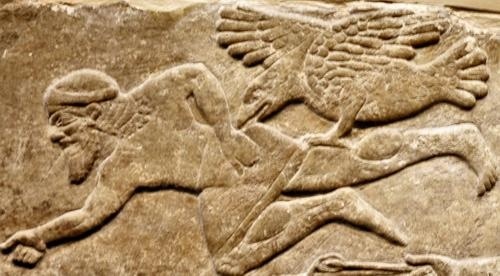 For the ancient Israelites, domesticated mammals and birds had economic value. 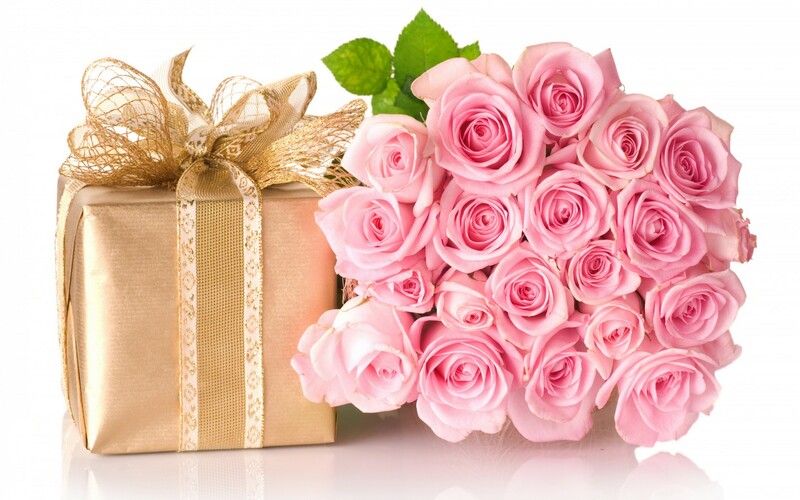 That made them suitable gifts for God. But what use would God have for a dead animal? In the book of Leviticus, the fatty parts of the animals are burned up into smoke, which ascends to the heavens, and the scent pleases God. When the priests or the donors eat other portions of the animal, they are partaking in the holiness of the sacrifice. I can understand the desire to present God with a gift—out of sheer gratitude for our lives in the world, or out of a desire to return to harmony with the divine after we have strayed. I am also grateful that Jews have moved beyond killing animals at an altar. But what we can give to God instead? The portions Vayikra and Tzav lay out the procedures for six kinds of gifts to God. For all six, at least part of the gift is a fire-offering, burned on the altar. The first type of fire-offering the Torah discusses is the rising-offering. olah (עֹלָה) = rising-offering. (From the root alah (עלה) = go up.) In an olah the entire slaughtered animal is burned up. For the ancient Israelites, fire was not just the way to cook meat and make smoke. God manifested as something that looked like fire. And Biblical Hebrew, like English, used words like “burning” and “inflamed” to indicate consuming emotions such as anger. Today, we might make an isheh, a fire-offering, by praying, chanting, or meditating with a specific intention about passion. If our passions about spiritual matters are easily inflamed, we might imagine offering our emotionality on the altar to burn itself out. We might visualize the smoke rising and dissipating into a clear, calm sky. Then we can be at rest with the divine. If passion seems to be lacking in our search for God, we might imagine feeding the fire on the altar through our words or breath, so that the sparks of our buried feelings can become flames and rise like smoke. 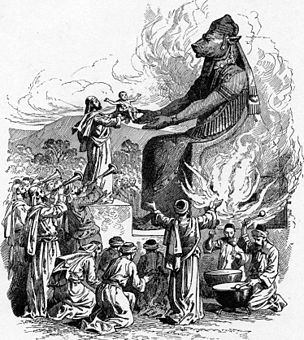 The first type of offering in Leviticus, the olah, was the only one which stayed on the altar fire all night, until it was completely burned up into smoke. Today, if we want our souls to keep rising up toward the divine, day and night, we have to keep tending the fire of our desire to make the most of our lives. The last thing we need is a wet blanket. I have often smothered my own fire with a wet blanket of repetitive worrying. I am training myself to notice when the dripping edge of my blanket flops down again, so I can flip it away from the embers. For me, a good intervention is to sing a prayer or chant. It’s even better if I walk around the block while I am singing. After my mood has risen higher, I can have a better conversation with myself. Next week I will look at the other five types of fire-offerings described in the Torah portions Vayikra and Tzav, and how we might address the impulse behind each one today—without slaughtering animals. 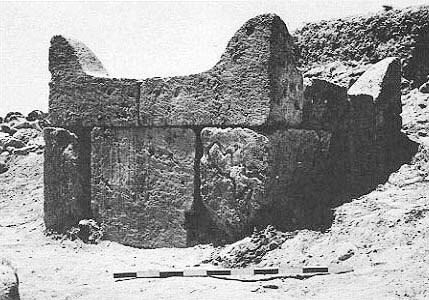 The last Jewish temple was razed in the year 70 C.E., almost two thousand years ago, when the Romans destroyed Jerusalem. So what use do we have, today, for an instruction manual for priests officiating at the altar? This week’s Torah portion, Tzav (“Command”) tells priests what to do with the grain offering and four types of animal offerings (or sacrifices) brought to the altar at the front of the sanctuary. These instructions ares certainly of historic interest. But do they matter to our own psycho-spiritual lives? For the past two thousand years, Torah commentary has answered yes—by finding deeper meanings embedded in the practical instructions for the priests. One example is the Torah’s insistence that the fire on the altar must burn through the night and never go out. The olah was offered twice a day, morning and evening. Other offerings were burned on the altar during the day, but at night the sanctuary was closed to everyone but the priests, and no new offerings were added to the fire. For the other kinds of animal offerings, including shelamim, the priests cut up the animal and reserved some pieces for eating, but burned the choice fatty parts on the altar. The fatty pieces burned up quickly, but the olah was the whole skinned animal, so it burned slowly. But the ancient Israelites must have appreciated the symbolic value of a fire that must never go out as much as we do today. In next week’s Torah portion, Shemini, Aaron and his sons inaugurate the sanctuary’s altar with various offerings, lighting the wood themselves. But then a fire comes straight out from God and consumes every animal and animal part smoldering on the altar in one glorious rush. From then on, the fire that burns on the altar has a direct line of transmission—or ignition—from that divine fire. 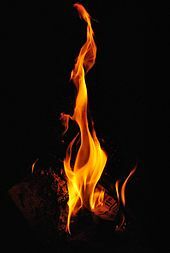 As Rabbi Elie Munk pointed out in the early 20th century, “Fire is an allusion to the Divine Word, the Torah.” The word of the Torah must never be extinguished. The fire on the altar is both divine and man-made, rekindled daily by the priests. Thus it also represents our passionate desire for God, which we must never extinguish. 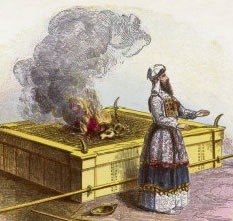 Rabbis in the Talmud tractate Yoma deduce that all the fire used for holy purposes in the sanctuary is taken from the continual fire on the altar, including the fire used to kindle the incense altar, to burn coals in the censer on Yom Kippur, and to light the seven lamps of the golden menorah. Naturally a fire started by God would be the most holy fire to use. But Rabbi Munk compares the fire on the outer altar, used for animal offerings (i.e. sacrifices) to “the altar of duty” on which we should sacrifice our egotism. Only if we tend the fire of that altar will we be able to kindle the fire of passion for God that brings us exaltation. Other commentary points out that although the fire on the altar must never go out altogether, it burns low during the night, and in the morning a priest kindles fresh wood from it. The late 19th-century Hassidic rabbi Yehudah Leib Alter of Ger wrote that the rekindling in the morning means that every day a new light comes to those who serve God. Our spirits burn low at night, that is, when our soul are distracted by darkness and evil. But when we remove the ashes from the previous day’s sacrifices, we are removing the waste in our lives, and that uplifts us so that we receive new light from God. This is the law of the elevation offering, the elevation offering on the flames on the altar all night until the morning, and the fire of the altar shall be kept aflame on it. This is the teaching which enables you to transcend. Transcend the ‘small’ by moving toward whatever enflames the passion in your heart even during times of illusion and conventional life-issues, leading towards the time of enlightenment. Let the parts of the Torah which seem brightly lit to your heart blaze and shine and fire up those parts of your soul that are ignitable. Both Rabbi Yehudah Leib Alter of Ger and Rabbi David Wolfe-Blank of Seattle compared the nights in this Torah verse to the times when we are distracted and deluded. I believe these times of darkness are frequent for everyone; it is so easy to get caught up in the obsessions of our society, so hard to keep out minds on a higher purpose in life. But if we stick to a practice of offering ourselves to the divine at regular intervals—perhaps every morning and evening, like the olah—then we keep the fire from going out altogether. Another way to keep the fire from going out during the dark times, according to Wolfe-Blank, is to keep paying attention to the parts of the Torah that light up our hearts. Then after every dark night comes a morning, and by the grace of God we see beauty and light again. We recall our own souls, and the fire is rekindled—the fire of desire and enlightenment and glory, the fire that is both a gift from God, and our gift to God. Tzav: Who Gets the Skin? When I read all the gory details of the animal sacrifices in the book of Leviticus/Vayikra, I have to work hard to imagine how all that slaughtering, butchering, and throwing blood around could bring anyone closer to God. I believe that when we kill our fellow mammals we should mourn, not celebrate; and I view the slaughter as something we need to atone for, not as a means of atonement. Thank God we switched to worship through prayer about 2,000 years ago! It would be easy for me to dismiss the earlier technology as an artifact of an ancient culture. I could simply address the issues of the present day, and campaign for treating all mammals more humanely, killing them only out of practical necessity, and reforming our diets. But I have dedicated myself to Torah study, and that means I must search for deeper meaning in the text, even the descriptions of animal offerings. When I reread this week’s Torah portion, Tzav (Command), I noticed that the three basic motivations for offering an animal at the altar correspond to three instructions for what to do with the animal’s skin. Although the book of Leviticus/Vayikra classifies offerings with five different names, covering at least a dozen different situations, they boil down to three reasons for bringing an animal to the altar: to express individual gratitude or devotion to God; to atone for individual guilt; and to atone for the whole community and/or its religious leaders. When a man brought an animal offering to express gratitude or devotion (in the Torah only men bring animals to the altar), after the butchery, burning, and feasting, he got to keep the animal’s skin, which had value because it could be tanned to make leather. We learn in the Torah portion Tzav that when an individual brought an animal offering to be relieved of guilt over a lapse, a wicked thought, a sin of omission, or an unintentional wrong against God, the priest who performed the atonement got to keep the hide. When a priest brought an animal offering to make atonement for himself or for the entire community, the skin was burned on the ash-heap outside the camp where the ashes from the altar were taken. 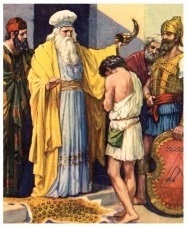 Moses does this in this week’s Torah portion during the ordination of Aaron and his four sons as the first priests of the Israelites, so they can begin their new offices with a clean slate. The three ways of disposing of the slaughtered animal’s skin make sense on a practical level. Someone who wanted to draw closer to God out of a devotional impulse, or gratitude for good fortune, should be allowed to keep any part of the animal not used in the ritual. Why should he suffer any extra economic loss? If a priest erred in his holy service, or if the whole community missed the mark (because the priests did not guide them properly), then it makes practical sense that the priest should get no economic benefit from the sacrificial animal’s skin. Burning the hide adds dramatic impact to this most serious kind of ritual offering. I can also see symbolic meaning in the three ways of handling the skins. In the book of Genesis/Bereishit, God clothes Adam and Eve in skins before sending them out into the world. Skin is like a garment. It separates and protects an individual from the rest of the world. And skin, like a garment, also signals the individual’s public identity and role in the world. Perhaps the skin of an animal offering represents the skin of the man who brings it. The Torah mandates that the man who brings an animal to the altar must lean his hands on its head before it is slaughtered. This gesture apparently connects the human with the animal, so the offering counts as his. When someone brought an offering of gratitude or devotion, he was already in a good standing with God; the offering expressed his feelings and brought him even closer to the divine. His public identity did not need to change. Therefore he could keep the animal skin. When someone brought an offering out of guilt, he had stumbled in his service to God. In order to atone and return to good standing, he needed to recognize, in his heart, that his position in the community and his connection with God must not be taken for granted. I think he gave the animal skin to the officiating priest as an act of humility. Why was the skin burned when a priest brought an offering to atone for his own guilt, or for the guilt of the whole community? The Torah requires burning the skin outside the camp when a priest is ordained, when a priest discovers that he or the whole community has committed a lapse in service to God, and once a year on Yom Kippur, the day of atonement for everyone. The priests of the Israelites, like all religious leaders today, and everyone else who guides people on the level of their souls, have to be meticulous in their service. If they violate someone’s trust; if they treat other humans without respect; if they preach one thing and do another; if they become so enamored of their role, so dazzled by their own garments, that they fail to examine their inner selves; then their guilt is so great they must burn their animal skins. That means they must leave their sanctuary and leave the community where they did wrong, going “outside the camp”, and give up their public roles, their animal skins. What if the animal offering atones for the whole community, like the goat offered to God on Yom Kippur? Modern Jews do not cast lots on goats on Yom Kippur, but we do spend the day praying. Our prayers for atonement are in the plural: we have become guilty, we have betrayed, we have robbed, we have slandered, and so on. No one is isolated; we are all responsible for one another. We share the good and the bad. We are our brothers’ keepers. And our membership in the human community is intrinsic to our connection with the divine. Therefore, when we want to come closer to God, we must all abandon the garments of our public roles. Burn those animal skins, and let the smoke rise up to the heavens!